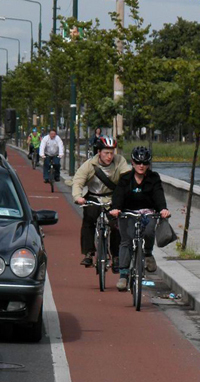 Cycling Lanes or Tracks – cyclists are beside vehicles in their own space. There must be sufficient width for cycling. If there is not sufficient space for a functional cycle lane as set out below, then a Mixed Traffic solution should be considered with an appropriate traffic regime. In other words, a substandard cycle lane is never recommended. 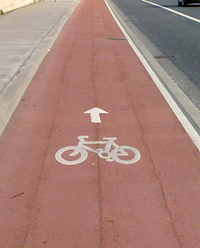 The designed width of a cycle facility is comprised of the effective width, i.e. the space that is “usable” by cyclists, as well as the clearances that will be required in different circumstances. 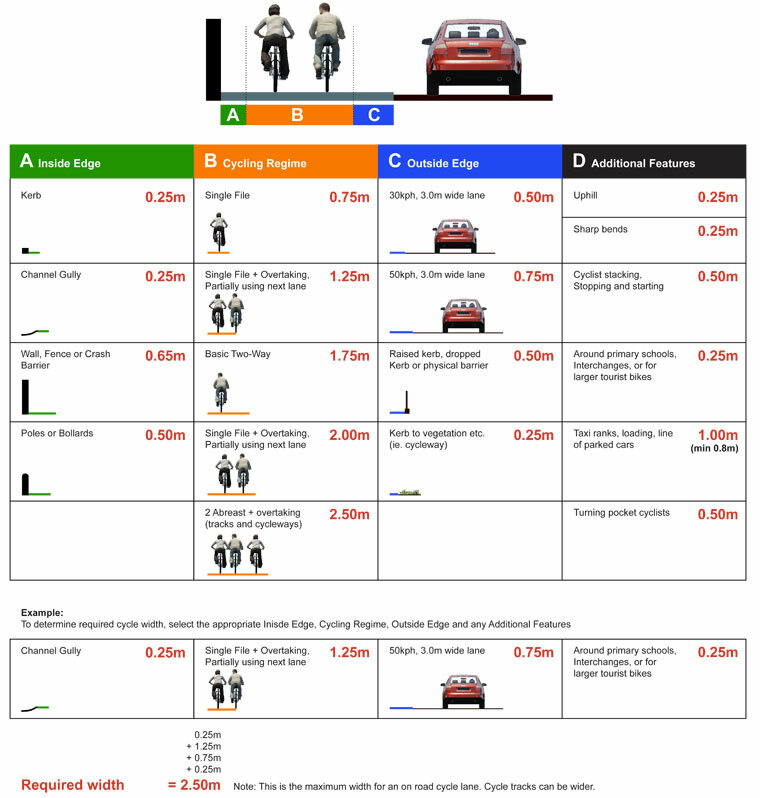 How wide is a Cyclist? 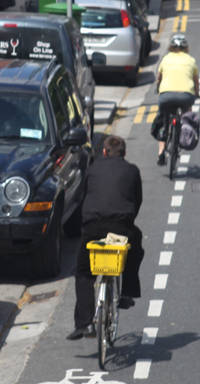 An individual adult cyclist on a conventional bicycle is approximately 750mm wide. A further 250mm will normally permit the use of accessories such as child trailers, panniers etc. Cyclists always wobble or wander from side to side in order to keep balance, particularly at lower speeds. A provision of 250mm wobble room is normally sufficient. 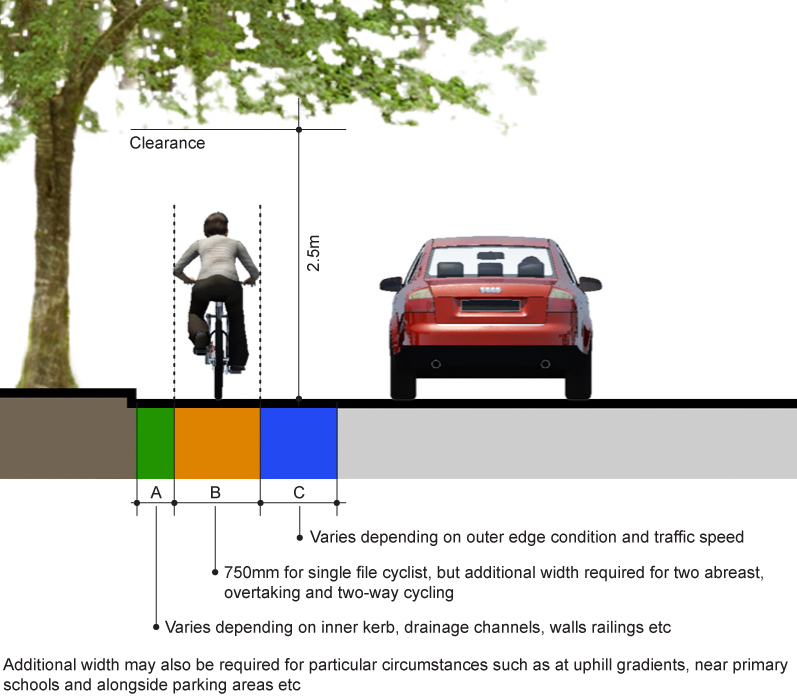 Additional width should be considered where cyclists will be slower and wobbling more, e.g. approaching junctions, at bends, or on uphill sections. There may also be additional width required depending on topography, traffic, locality etc. Where a cycle lane exceeds 3.0m in width, there may be some confusion with traffic lanes and a cycle track may be a better solution. Reduced Kerbs Heights between the cycle lane and footpath or verge, 50mm or lower, will not catch the underside of the pedal of the bicycle, and cyclists can cycle closer to the kerb. 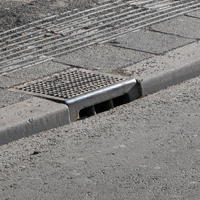 Side Draining Gullies with a uniform camber provide more effective width for cycling than surface gullies / drainage channels.